1. Are there any legal restrictions on keeping chickens? There are no general UK restrictions on keeping small numbers of poultry (up to 50). However, you should check your house deeds or tenancy agreement, as well as local bye-laws. Sometimes there are specific covenants attached to properties, or local regulations regarding animals – chickens are usually classed as ‘livestock’ even if kept as pets. Although not a legal requirement, it’s also a good idea to let your neighbours know if you are intending to keep chickens in the garden to address any fears about noise, vermin, flies or smells. 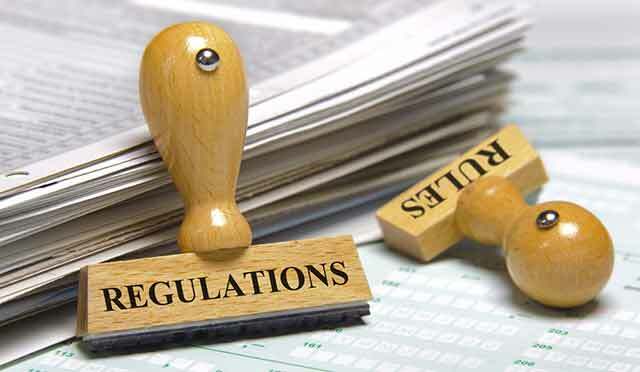 See the page on ‘Rules and Regulations’ for more information. 2. Do I have enough time to keep chickens? Although chickens are less demanding than some animals, they still need care and will take up your time. 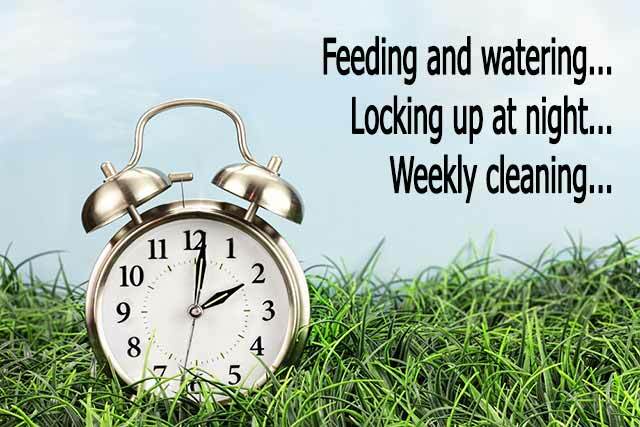 As a minimum they must be checked at least once a day, fed, watered and secured at night. 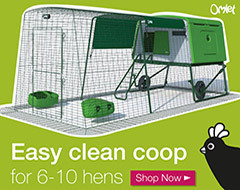 Their coop will need regular cleaning too. A variety of other tasks are also likely to require your attention throughout the year. Have a look at ‘Routine Jobs’ to see what is involved, and whether this is going to fit comfortably into your schedule. 3. What will happen during holidays? Give this some thought before deciding to keep chickens. You will need to arrange adequate care for your flock, including a daily check, even if you are only away from home for a couple of nights. Neighbours will often be willing to take care of chickens in return for eggs but do think ahead and have a plan before booking a holiday. See ‘Going on Holiday’ for more information. 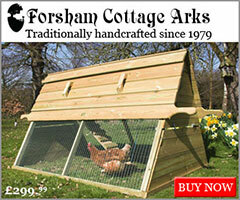 A solid, weatherproof chicken-house with adequate perches and nest-boxes is essential. Chicken runs must be well-constructed and secure. This initial set-up is the most expensive part of chicken-keeping, but your chickens will be depending on you to provide them with a safe and healthy environment. A feeder, drinker, vermin-proof storage bin and cleaning-out tools will also be required. 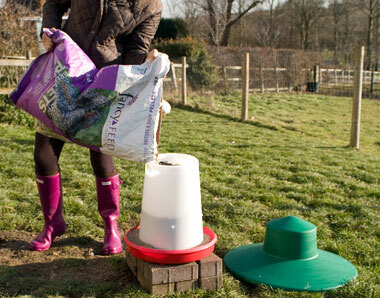 The basic running costs include feed and bedding, plus medications such as wormers and mite treatments. You will probably want to supply some supplements and treats too. See my page on ‘Getting Started’ and ‘What to Keep in Stock’ for further ideas. As you can see, it’s unlikely that chickens will pay for their upkeep in eggs (especially in the short term). It’s better to enjoy your chickens as an absorbing hobby – with the bonus of the best eggs you’ve ever tasted! 5. Can I spare enough room in the garden to keep chickens properly? Chickens don’t necessarily need vast amounts of space, although they will enjoy as much as you can provide. If they are to be kept mainly confined in a run, be realistic about numbers and the area available – allow as much space per bird as possible. Even a small garden can often accommodate a few chickens, but choose your breeds carefully and be prepared to do some extra jobs to keep them happy and healthy. 6. What do I want from my chickens? 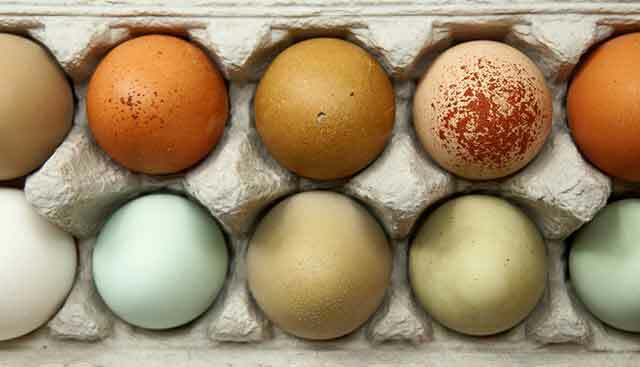 Although the obvious answer to this is eggs, output varies greatly between different breeds, so if eggs are your priority choose one of the hybrid or pure-breed layers. However, chickens come in a variety of shapes, sizes and personalities and there is something for everyone. Some breeds make lovely pets, some are especially suitable for small children and some can look spectacular free-ranging amongst the flowers. There are chickens that will easily go broody, meaning they stop laying eggs but will hatch and raise chicks for you. There are even chickens that can be eaten… Some breeds will do a little of everything, or you can select one that particularly suits your purpose. There’s plenty of choice! 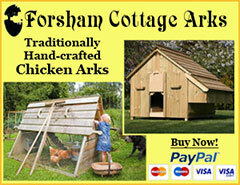 See ‘Getting Your Chickens’ or ‘Chicken Breeds‘ for further information. 7. Will predators be a risk? 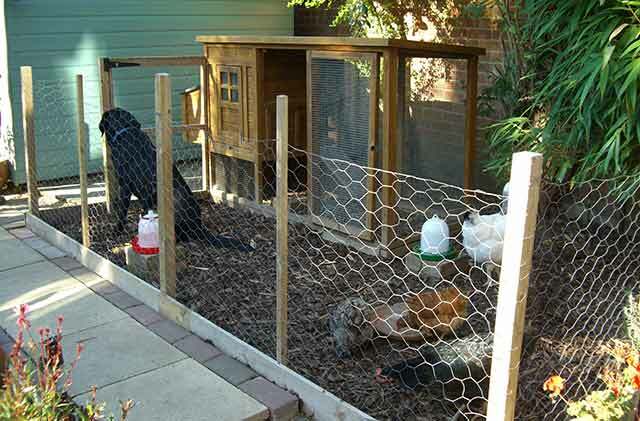 If you have foxes around, free-ranging your chickens won’t be an option unless you use electric poultry netting. A nearby badger sett will mean extra vigilance in closing up the chickens at night, plus a really robust house and run. Waterways are often home to destructive mink. Domestic pets, either your own or the neighbours’ may also show an unhealthy interest in your chickens. 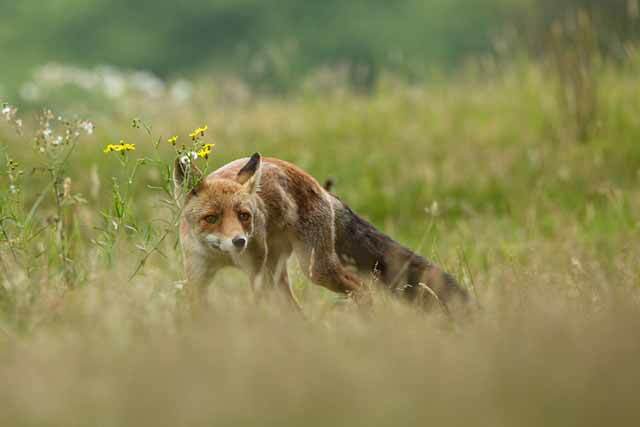 Cats don’t usually pose a problem, but dogs can sometimes cause as much destruction as foxes. 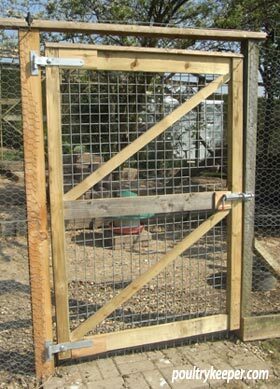 See ‘Predators’ for further information and some ideas to keep chickens safe. 8. Does anyone in the household have a phobia about birds or feathers? Some people absolutely cannot stand fluttery things or feathers flying around. This may not affect you – but if a family member has this aversion, you won’t be able to call on him or her for help with the chickens! 9. Do I need a cockerel? Hens will lay eggs without a male being present so it’s not necessary to keep a cockerel unless you want fertile eggs (which can be purchased if you fancy hatching a few chicks). All cockerels crow, which may cause problems if you have neighbours and it’s not advisable to keep more than one because they often fight. 10. Have I done enough research? 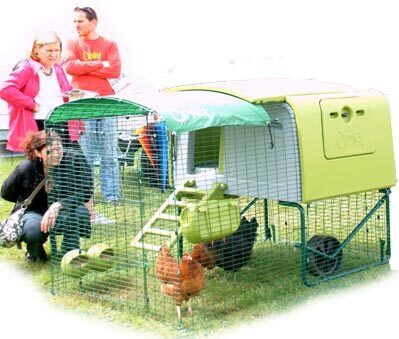 The more research you can do on housing, breeds, equipment and care the better prepared you will be to keep chickens. The internet is a useful tool, but be careful about the accuracy of information and remember that climate, laws and standards vary in different countries. A good beginners’ book is essential, both for initial research and future reference. See ‘Further Reading’ for a couple of book suggestions. I compost mine, however in small gardens you’d probably struggle so I would then bag it and bin it. Do the hens make much noise as I know the cockerels do? Some will – especially when laying. But it’s hard to say which breeds will, it’s more to do with the strain, I’ve had some really noisy and some very quiet flocks, there doesn’t seem to be any pattern to it. We are novice keepers after only 5 days of having our 4 beautiful hybrid hens Parsley, Sage, Rosemary and Thyme!! 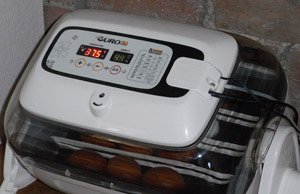 We have a Eglu coop and 4m run. Today our precious hens went free range in our large garden. I pop out every half hour or so and they come trotting up to me so I feel they know who I am. 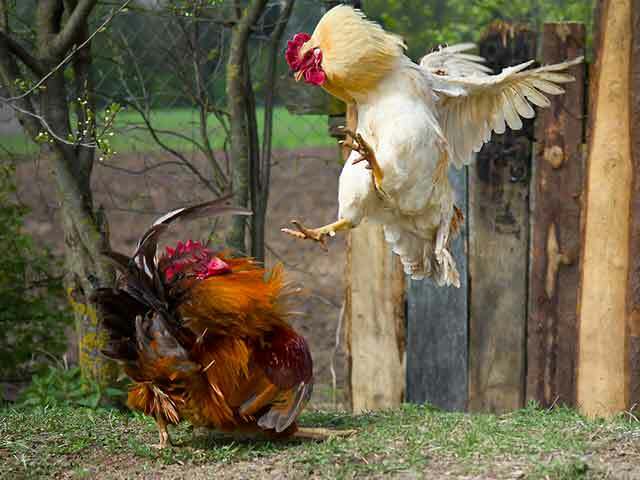 my question is I would like 2 or perhaps at the most 3 Pekin bantams which I am told are very friendly! but will they mix well with my four hybrids? I would never wish to put a bird in danger, and as they are the smaller birds would I be foolish in doing this? I would be most grateful for your advise. Thank you for reading this. They are not -that- much smaller than hybrids to be honest. They might be OK, although to be on the safe side, perhaps you could plan for a second coop, just in case? Hens? Sorry that was mean but I couldn’t resist. You would need some sort of removable bedding. Dust extracted pine wood shavings (sold for horse stables) are usually the best. Pine has natural disinfectant qualities and an inch on the bottom of the coop absorbs a lot of moisture. Clean them out about once per week. Straw should be used in the nest boxes. This is common. They would need much more space to keep grass. A better option is to cover the area in a few inches of hard wood chippings (not bark, it can contain mould spores). They can scratch through this and you can scatter their treats, even dig them in for them to find. It’s free draining and can be changed once it’s mucky. Can you say something about moulting, does this cause egg laying to stop and how long will it last? Is it an annual event? Surely composting of droppings takes a very long time to ‘age’ not to be harmful to the garden-please comment. Moulting is a perfectly natural process. Chickens usually moult in the autumn (not during the first year they are born though) and can also moult at other times as well. Stress can cause them to go into a sudden, partial moult too. Because feathers and eggs are mostly made up of protein, most hens will stop laying whilst moulting. It takes longer for older hens to get through the moult. Try not to handle her when she is moulting and provide her with sufficient food (a good quality layers ration which will contain sufficient protein). Remember if you have clipped a wing to stop her from flying / escaping that this will need doing again AFTER the moult. I say after, because feathers are full of blood as they grow back (the quills look black) and you need to wait until each feather is fully grown and the blood recedes before clipping it.